Customize your notebook with a variety of accesories. 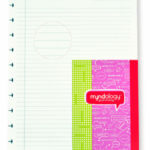 Myndology paper is made to stand up to ball-point, rollerball, felt-tip, and fountain pen ink. 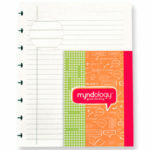 Choose blank, graph, or college ruled paper in your notebook size and style. 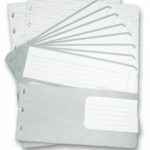 Folders & tabs make your notebook even more versatile.